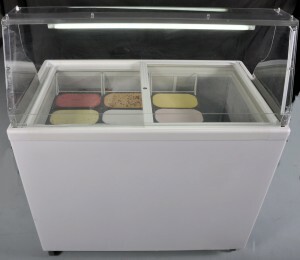 Join Dolcevita Gelato US ZERO COST program and start serving the best Gelato in Town! Learn how you can have a Gelato and Sorbet Dipping cabinet in your premises and sell Gelato and Sorbet at absolutely ZERO COST for you! 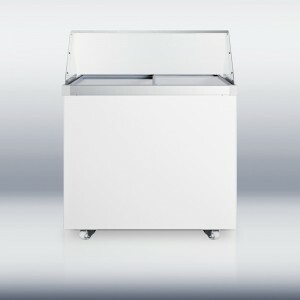 SUMMIT's deluxe Gelato Dipping cabinets provide the ideal conditions for displaying and serving Sorbet and Gelato.It ships fully assembled with a polycarbonate sneeze guard finished with a stainless steel worktop. 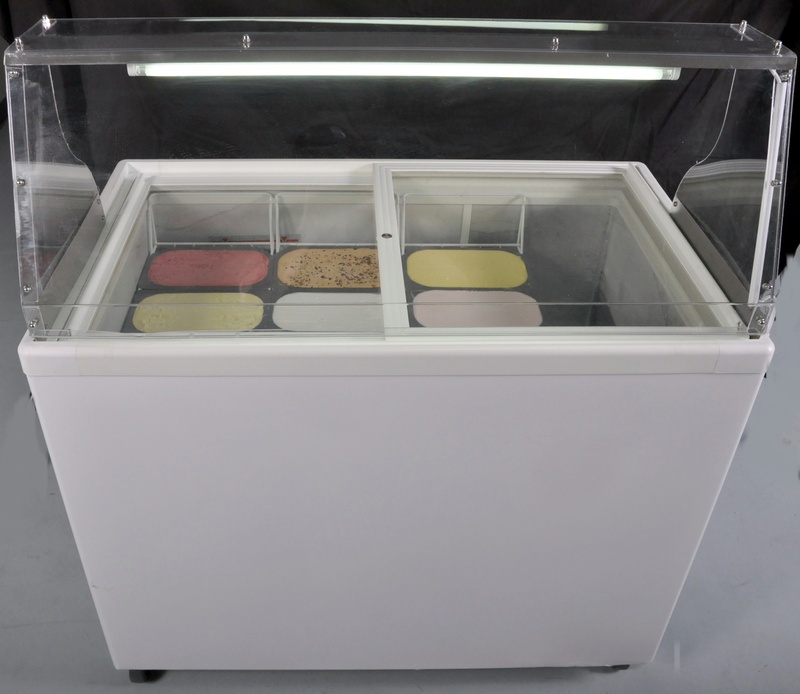 The sliding glass lid includes a keyed lock. A digital thermostat ensures easy temperature management. 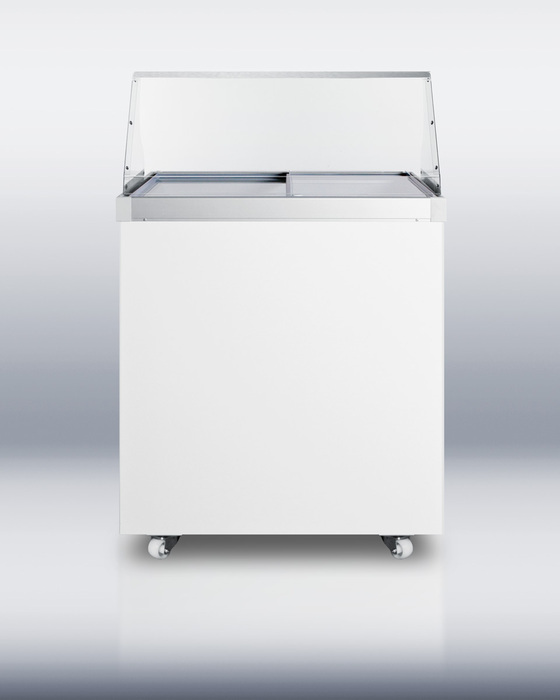 Inside, the SCF1076PDC utilizes a fan-cooled compressor for evenly distributed temperature throughout the manual defrosts hammered aluminum interior. 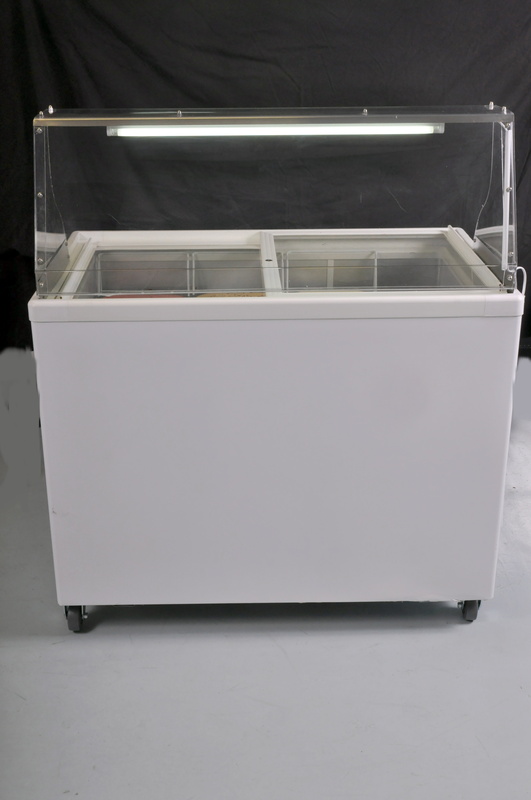 Additional features include sturdy casters and a side drain for easy defrosting. WOULD LIKE TO SERVE GELATO AND SORBET BUT NEED A SOLUTION? CONTACT US FOR INFORMATION ON HOW TO START NOW AT ZERO COST!